The Mount Lillian Trail begins at Upper Naneum Trail and ends at Forest Road 9712. 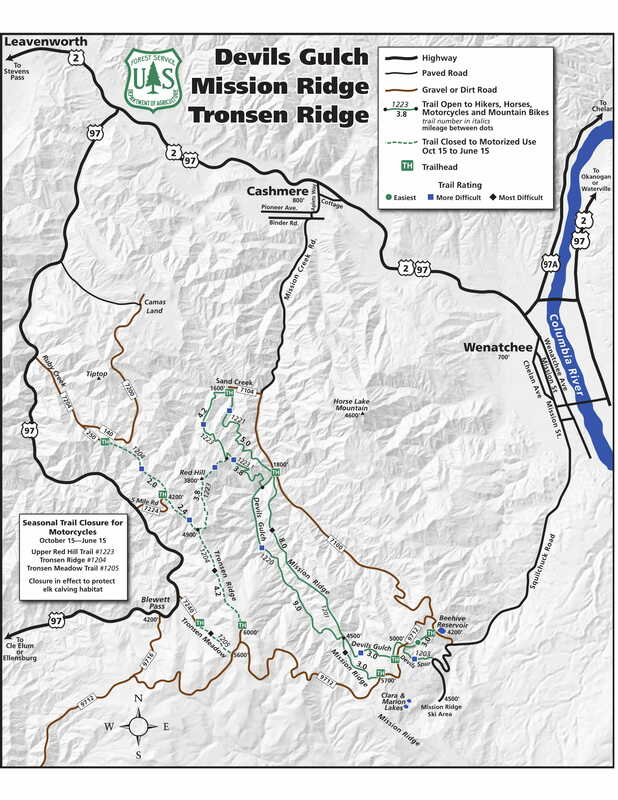 Begins at the north end of the Ken Wilcox Horse Campground and follows the boundary of the county line (between Chelan and Kittitas counties), paralleling Forest Road 9712 in places. The trail crosses Upper Naneum Trail #4W312 and turns to the east, ascending Mount Lillian, then descending to the east and ends at Road 9712. This end is within 0.25 mile of the trailhead for Howard Creek Trail #1372. From Highway 97 at summit of Blewett Pass, travel south on Forest Road 9716 to Road 9712 and east on 9712 to Haney Meadows.